One of the first questions I hear from people who contact me about buying their house is, “So, how does your program work?” So, I wanted to take a second to sum up exactly what it is we do as Real Estate Investors! To be perfectly clear, we are not Real Estate Agents or Brokers, Mortgage Brokers, or Attorneys. I represent a group of local men & women, just like yourself, and we buy houses and other Real Estate in Raleigh Durham and the surrounding areas of the Triangle. We belong to a network of thousands of other investors across the country, so depending on what market your house is in, we may be able to purchase it even if it is not in our target area. So, how do we do it? To be honest, there is no clear cut answer to that question. There is no magic formula or cookie cutter mold we can fit your house in to. In truth, every situation is different, that is one of the reasons I love this business. However, I will quickly go over our main buying techniques to help give you an idea what to expect before you contact us (or any other Real Estate Investor) about purchasing your house. When you contact us, the first thing we need to do is collect a fair bit of information about your situation. The details on your house are less important to us than the reason you are selling. As long as your house is not in a war-zone, we will purchase it, it is your situation that dictates whether or not we will be a good fit for one another. The easiest way for us to obtain this information is if you will take the time to fill out the form on our web page and we will contact you as quickly as possible to discuss your situation. Just fill out the short form on the right and click the “Get My Fair Cash Offer” button (or just below this article if you’re on your mobile device). If you are more comfortable speaking with us directly, you can contact us at 919-747-3662 ex. 803, and we will be happy to discuss your situation. We have structured our business, and our buying criteria, so that every deal we do creates value for everyone involved, we try to create only “Win-Win” transactions. What does that mean? Basically, we are not simply looking out for #1, we want to make sure that the deals we do work for everyone involved, not just us. Your value may come from us helping you out of an impossible situation, we may be able to get you a little more money than some other investors, it just depends, every situation is different. This does not mean that you will receive your asking price, and it does not mean we will receive the discount we are looking for, but I can guarantee we will both receive some type of value or we simply won’t move forward together. We are investors, and almost every one of our purchasing techniques requires us to be able to purchase houses “on sale” for lack of a better word. Depending on the details of your situation, you will likely fit in to one of the four buying techniques listed below. We will present you with one or a combination of any of the following: Cash Sale, Subject-To, Owner Finance, or Purchase Option. I will touch on each of these briefly below to give you an idea of what you can expect when you contact us. 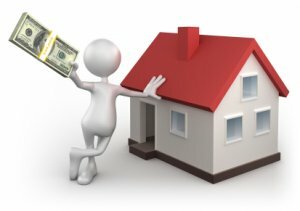 Cash sales are our favorite type of transaction, they are the easiest and most straight forward technique we use and they are the best way to sell your house fast in the Raleigh Durham area. With cash sales we do not make offers. Surprised? Well, we are very busy, looking at 70 – 100 houses at any given time, we do not have time to waste and out of respect we refuse to waste your time. So, if you are expecting an intense negotiation, I am afraid you will be disappointed. All we ask is that you let us know the absolute lowest price you NEED to get out of the house you are trying to sell, and we will simply let you know if we can or can not accommodate that price. We can generally close a cash sale in as little as 7 days, but as a courtesy to our attorneys and money investors we generally ask for a little longer. All transactions are handled by a licensed NC Real Estate Attorney just to make sure everything is on the up and up on both sides. How can you sell your house fast in Raleigh Durham using the subject-to method? A subject-to transaction is a great way to sell a property quickly, and we enjoy doing them when we can. Subject-to simply means that we take title to the house subject-to the existing financing. Essentially, we take over the payments on your current loan(s), your property is then transferred in to a trust where you are listed as a beneficiary, and we will pay off the loan within the agreed upon period of time (generally 3-5 years, but we have some properties that extend beyond 15 years). This type of transaction can generally be completed in a matter of days, and is a very good fit for anyone who is needing to move quickly and does not have time to wait for a traditional closing. Another benefit is that the sale price is usually a little higher than it would be with a cash sale. Subject-to transactions have a very bad reputation with the general public, and rightly so. The reason? Because there are crooked people in almost every industry, Real Estate Investment is no different. Unfortunately there are bad people out there who prey after people who are willing to do this type of transaction, they promise to pay the current mortgage, they put a renter in the house, collect a fairly large deposit and about 4 or 5 months worth of rent checks, but they never make a single payment on the loan. The phrase “a few bad apples spoils the bunch” is very true in this case, and I hate when I see people being taken advantage of like this. I once heard someone say, “wherever you find something of value, there you will also find a counterfeit.” The truth is, the majority of the investors I know that do these type of transactions are all very honest people, and some go out of their way to make sure the seller (you) are very comfortable with the transaction (we are no different). We buy houses in the Raleigh Durham area using this simple method all the time. What is it? Well, it’s essentially exactly as it sounds. Basically, the seller will finance all, or a portion of the purchase price at a predetermined interest rate, over a period of time, and collect monthly, quarterly, or yearly payments from the buyer. This allows you to generate a little monthly income off of the property you are selling, and sometimes some upfront cash as well. As with the subject-to option, the sale price is usually higher than a cash sale. How can I sell my house fast using an option? Well, an option contract simply gives us the option (kind of a first right-of-refusal) to purchase the property over a specified period of time at a predetermined price, however we are not required to follow through with the purchase, we have the “option.” Now, this can be handled one of two ways: the most popular being a straight option to purchase where we agree on a price (option price), put down a deposit, and the seller gives us 30-60 days (option period) to exercise that option or purchase the property. The second form of an option is the lease option. It is essentially the same, except we immediately start making equal monthly payments so that we can occupy the home and the option period is generally 3-5 years. In either scenario if we are not able to, or decide not to follow through, you get to keep the deposit and we part as friends. However, as long as we are within that option period and have not given written notice that we do not intend to purchase the property, you can not sell it to anyone else (although with a straight option we will generally let you out of the deal if you find a buyer at a higher price and refund our deposit). Well, there you have it, there are variations of each technique that we use, but in its most basic form, this is what you can expect when we purchase your house. All methods are mutually beneficial, or we simply will not purchase the house. Thanks for taking the time to read through this so that you are educated on working with Real Estate investors.